Being Malaysian, how can I not love spicy food? But it's more than the flavours. Do you know that adding heat to food also has a host of health benefits? Read the science behind all these reasons on healthline. 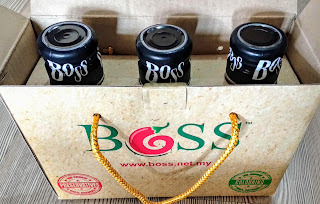 In my constant pursue for spicy food, I have come across this range of chili sauce called Boss Chilli Sauce. It's an online marketplace that sells chilli sauce founded in Malaysia since 2017. Instead of restocking your chilli sauce from the super market shelf, it's now possible to get the freshest with a few mouse clicks and pay via credit card or online banking. 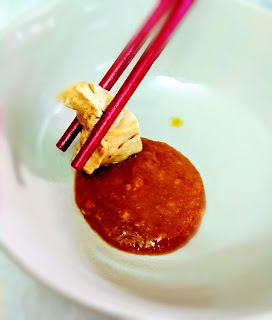 It's not difficult to discern the different types because the color goes from a pretty apple green to fiery red according to the level of spiciness. It comes in a bubble wrapped package of 3. The box that comes with it is fairly exquisite and stylish as well. This makes it a good gift pack as well. Each order contains 3 chilli sauce which can either all be the same flavour or mixed flavours. I'll suggest first time buyer to get the mixed flavours which is their family pack. 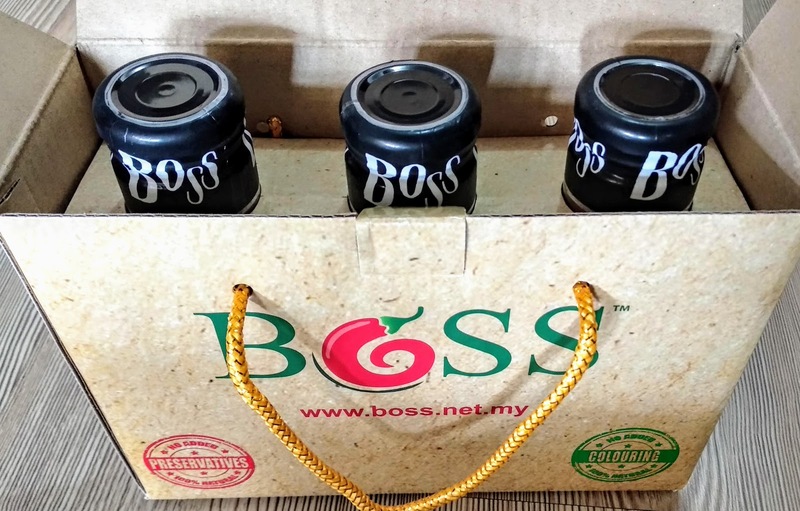 Boss Chilli Sauce caters more for the Asian palate. It's a garlic based chilli sauce. 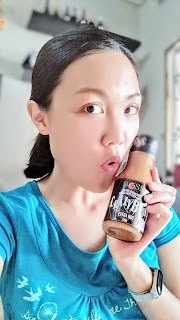 The first impression was that it smells really like the good old Kampung Koh chilli sauce. This is already enough to make me excited to taste the chilli sauce. What's even better is that it doesn't have any artificial coloring or preservatives added. The chilli sauce is a complex flavor of tangy, sweet, sour and spicy taste. When it first hits the taste buds, I could appreciate the garlic a bit more, followed by the sourness. 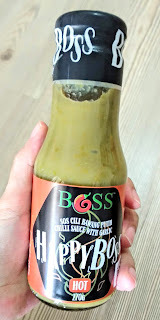 The heat comes later on, especially for Crazy Boss (the extra hot version), leaving the tongue, throat and stomach feeling warm and slightly numb long after taking the chilli sauce. 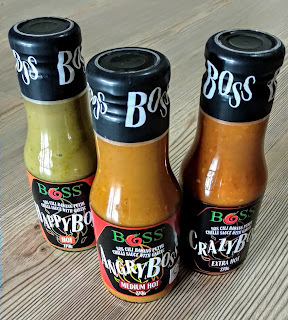 Because of this complex taste, Boss Chilli Sauce goes very well with almost any savoury food. From fried food to steamboat, it really brings out the flavors and makes the meal more exciting. 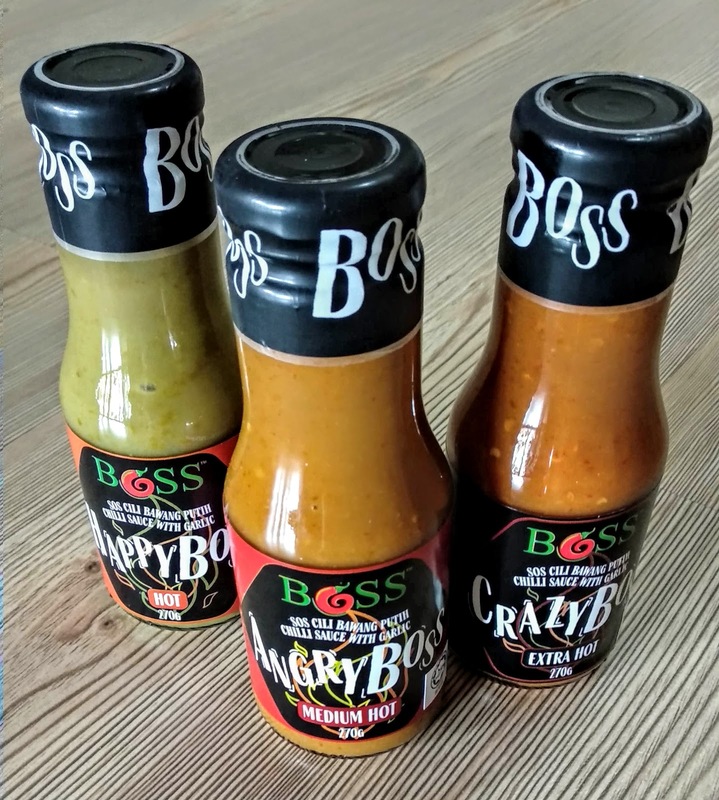 Besides working as a dipping sauce, Boss chilli sauce is also suitable for wraps, marinate for barbeques or grills and stir fries. The various level of spiciness available also makes it easier for different members of household to enjoy their preferred threshold. And of course my favorite is Crazy Boss! If you are interested, browse their websites.